Around 150 people answered 14 different questions about what they think of Queensferry using the Place Standard developed by Architecture and Design Scotland, the Scottish Government and NHS Scotland. This is an interactive tool which allows a community to assess its own strengths and weaknesses in terms of its qualities as a place in which to live and work. 31 different groups discussed the set questions about the quality of their environment addressing such issues as access to greenspace and parking levels. Scores for local economy, impact of vehicles and influence and sense of control were generally low. Traffic congestion is seen as a problem across Queensferry, especially along the High Street and around the schools along Station Road. In addition, there is a perception within Queensferry of a lack of professional type jobs. A view was coming through that Queensferry is a dormitory town for Edinburgh. Scores for identity and belonging, feeling safe and natural space were generally high. Participants felt that Queensferry is a safe place to live and move around. In addition, Queensferry is seen as having a strong community identity, separate from Edinburgh. We have collated all of the information we have collected so far and held several meetings with Queensferry and District Community Council, Queensferry Ambition and other council services. We are in the process of organising a final placemaking exercise with the business community and further meetings and focus groups with community representatives and the developers. 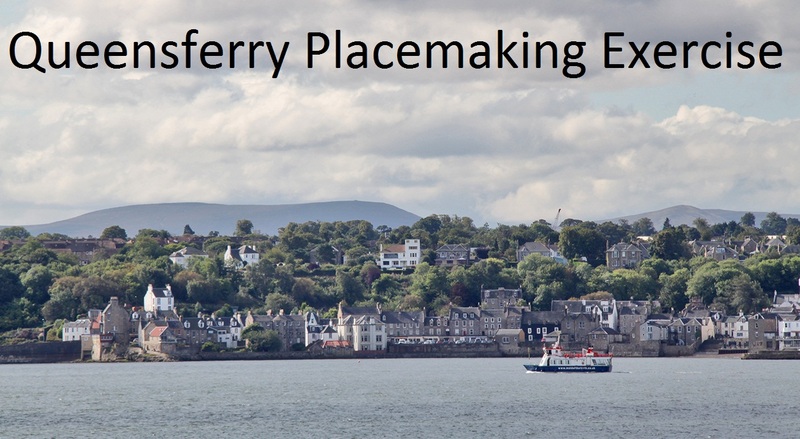 Find more information and keep updated with the Queensferry Placemaking Project at the Planning Blog. The City Council, Queensferry Community Council and Queensferry Ambition are running a Placemaking exercise in Queensferry to find out what the good and bad things are about living and working in the town. This will be carried out by using a tool called the Place Standard which has been developed by Architecture and Design Scotland, the Scottish Government and NHS Scotland. The Place Standard allows a community to score its environment against a series of criteria. Groups of people will be taken through the exercise in a final facilitated session on Tuesday 27 October. We need the involvement of as many of the community as possible to make this process work. The outcomes from this exercise will be shared with the developers of the new housing sites identified in Second Proposed Local Development Plan so they can shape their proposals to take account of the strengths and weaknesses identified by the community. This is the first time this process has been used in Edinburgh and it provides a unique opportunity for the community in Queensferry. It will build on the work undertaken for the Town Centre charrette 18 months ago. This process will give us baseline information on Queensferry – identifying those areas where it works well as a town and those areas where it doesn’t work so well. The benefits of this process are that the information comes from the communities that live and work there. We will use the outputs to shape the work that the Council does and to give developers the opportunity to help support the qualities of Queensferry through their proposals.